Home / 2015 – The Wedding Letter Hire Year! 2015 – The Wedding Letter Hire Year! As 2015 draws to a close we thought that it would be a great time to take a look back at the last year – and wow what a year it’s been! 2015 was actually our first full year at Wedding Letter Hire as we launched in the spring of 2014 and over the last year we have seen our company grow, got loads of fantastic feedback from our customers and met so many lovely brides and grooms. We are thrilled that we have been able to add a touch of sparkle to so many people’s big days – and we hope we have created some amazing memories for our clients. We started off the year by exhibiting our lovely light up signs at the Knebworth Wedding Fair. It was great to meet so many potential customers – some of whom had come along specially to take a look at our letters! Everyone who saw them loved them and were amazed at how great they looked. January was a super busy month for us as people started to think about their ceremonies in the coming summer – so if you are planning on making a booking for 2016 we advise you to get in early! As word got out about our letters we started getting interest from more and more people within the industry. We were really excited that our giant 5ft high numbers were even featured in the Bride’s Magazine gorgeous 60th birthday edition, and they made an appearance at the celebrations at Goodwood house too. We were also delighted when the prestigious events planner Quintessentially Weddings got in touch to ask if we would like to be one of their featured suppliers – of course we said yes! We also enjoyed working with some wonderful venues across Hertfordshire and London. It never ceases to amaze us how our lights can fit into any setting, and how they can literally light up a venue. It’s been great seeing our illuminated signs at stunning venues such as The Milling Barn and Fanhams Hall. We’ve also seen them looking lovely in the lavender fields over at Hitchin and in the ultra sophisticated setting of the top floor at the Gherkin (that’s probably the highest our letters have ever been!). As you can imagine summer was a really busy time for us as it’s peak wedding season and we were really proud to have met all our customers’ needs during this time. Lots of our customers chose to use our LOVE letters outside in the summer which looked fabulous too. To top off what was already a pretty thrilling year in November we received the news that Wedding Letter Hire had been shortlisted at a contender in the Best New Business award at the Hertfordshire Business Awards. We had been whittled down from hundreds of entries to reach the top 5! We attended a great awards ceremony at Knebworth Barns and although we didn’t win we were still very proud to be finalists! And as December comes around it’s Christmas party season so we’ll be busy adding some sparkle to lots of Christmas parties. It’s been an amazing year and we’d like to say a big thank you to all our customers from 2015 and a big hello to all our new customers booked for 2016! 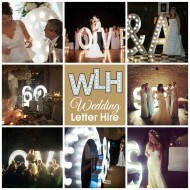 ← Wedding Letter Hire Nominated In Hertfordshire Business Awards!